The White House flatly denied that President Donald Trump’s mobile phone was compromised after a New York Times report suggested Chinese spies were listening to his phone calls. The White House on Thursday flatly denied that President Donald Trump’s mobile phone was compromised after a New York Times report suggested Chinese spies were listening to his phone calls. “The article written by the New York Times presented inaccurate information about the President’s cell phone and its usage,” White House deputy press secretary Hogan Gidley said in a statement. Current and former US officials warned that Trump’s personal Apple iPhone was monitored by Chinese spies, according to The Times’ report published Wednesday. 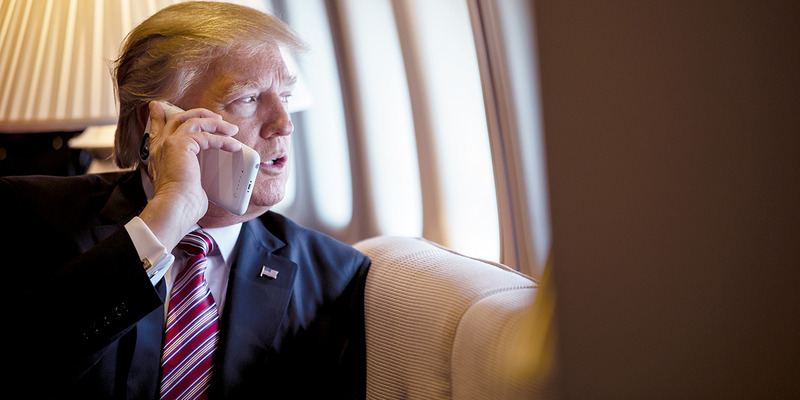 Trump reportedly used two iPhones that were programmed by the National Security Agency for official use, but also kept a third, personal phone that was unaltered – much like the normal iPhones on the consumer market. Trump was said to use the unaltered personal iPhone because of its ability to store contacts, the officials said in the report. One of the two official phones was designated for making calls, and the other one was for Twitter. Gidley rejected The Times’ reporting on the number of Trump’s iPhones and also downplayed the threat they may have posed. “The phone is rotated on a regular basis and is constantly monitored for any security vulnerabilities and attacks, in accordance with recommendations from the intelligence community,” Gidley added. Trump also played down the reported threat by brushing it off on Twitter. According to the sources cited by The Times, the information Chinese spies have collected included who Trump regularly speaks to and was part of a wider lobbying effort to influence his friends and business associates. US intelligence agencies discovered the espionage campaign from sources in foreign governments and intercepted communications from foreign officials.